EE lit up the UK’s only 4G network on October 30th, and with the new network came a fully deployed new brand, retail experience, equipment and tariffs (what are called rate plans in the US). Among those tariffs was a SIM-only plan, for customer who already had their own LTE capable handset. The SIM-only plans are attractive, over £10 less per month (£21 for 500MB, versus £36 on a two-year agreement) versus the contract plans. Unfortunately, EE is citing an overrun in the testing process as the cause of the delay in offering the SIM-only rates. Such bumps in the road are not uncommon in the grand scheme. Earlier this week, EE acknowledged that there were groups of customers who were not experiencing a smooth transition from the T-Mobile or Orange services to EE. Some customers were without service for 24 hours or more, or others were waiting days for their new SIM cards or contact from EE to activate service. When new networks deploy, or new processes emerge from combining companies and management systems, there are inevitably going to be unforeseen issues. Carriers in the US have been through the same thing, whether through billing system changes or through new networks being built, there is always someone adversely affected inadvertantly. Fortunately, despite the bumps in the road, it looks like EE is carrying on pretty well. 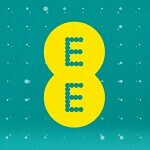 EE expects to have SIM-only plans up for grabs within the next fortnight (that’s two weeks).